Our agents go above and beyond to delight our members. Nestiny Agents represent the best of the best. You may buy a home once every 4-7 years, but a successful agent assists homebuyers every single day. In a way, they are the superhero of your story. Here are the 6 ways that Nestiny Agents stand out. Your local market is unique and changes quickly. An expert real estate agent is your key to success. 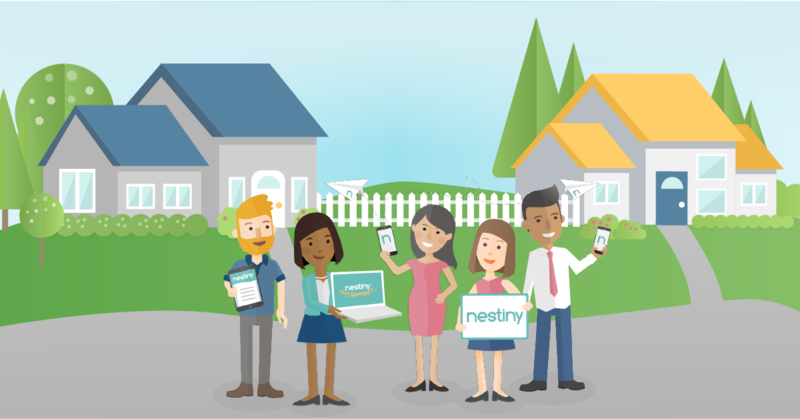 Only agents who are very actively helping families in your area close on a home are featured on Nestiny. Your agent must be what we call ‘tech-fluent.” Not only do we verify that our agents already have strong digital presences of their own, but we make sure they are strong users of the Nestiny platform because of our belief in empowering buyers with better education and tools. Your success is their priority. When we interview agents for Nestiny, we check their reviews. And after a home sale closes, we follow up directly with the clients we have sent them to make sure it was an excellent experience. You deserve full time attention. Nestiny Agents are “all in” when it comes to real estate and their clients. Only full-time professionals who can respond to your needs quickly are on our platform. Your journey to your next home can be exhilarating at times. We know that having a real estate agent by your side with an upbeat yet calming presence can make the experience much better. We interview each agent to make sure they have what it takes in the attitude department. Only agents that meet these benchmarks can be part of Nestiny. And we only keep agents on our platform if their clients had happy experiences. If a Nestiny member says they wouldn't refer their agent to a friend, we take this feedback seriously. Your ultimate happiness is our goal. It's a lot of work to make sure that our agents check all the right boxes but we know you’re worth it. So when you’re ready to choose your Nestiny Agent, just know we’ve done a lot of the heavy lifting for you! Realtors: If you're a stellar real estate agent that embodies our agent values above, please feel free to contact us for consideration in your local area. We would love to interview you to see if you would be a good fit with our members.